What Are The Requirements For Riding A Hoverboard? The Back to the Future Part II feature of Marty McFly on a hoverboard was in a way the start of a massive movement of two-wheeler lovers. Many manufacturers now produce the lithium-powered device. With the price tag still out of reach for many people and reports of accidents still ringing in our ears, many are still not sure what to do with the equipment. Are there any requirements before one can be safely aboard one? As you sample the best hoverboards for sale, keep the following points in mind. Did you just start riding the motorbike and bike? Before hitting the streets, you want to do enough practice on private property. Remember to wear safety gear because you are bound to fall and hit items. Like riding a motorcycle, balance is the most important skill for a hoverboard rider. You want to maintain a straight posture and avoid bending your knees. Legs should be slightly apart, while the gaze should be forward. However, even before we get to balancing, there is one important step- stepping on the hoverboard. Remember to always step off starting with your dominant foot. With enough practice, you should have it easy getting onto the machine and stepping off. After a series of fires caused by hoverboards, many states have imposed restrictions on usage of these devices. If you are a New Yorker, you may not ride the hoverboard in public places. A number of people flout these regulations anyway, but it can get nasty with the authorities. If you spot someone riding his or hers in a public place, do not just assume it is legal to do so. The point is that you need to acquaint yourself with the relevant regulations before stepping on the machine. You cannot just ride them in any learning institution. Some universities in the United States have illegalized riding hoverboards. Whenever you are not sure, ask someone in authority for guidance. 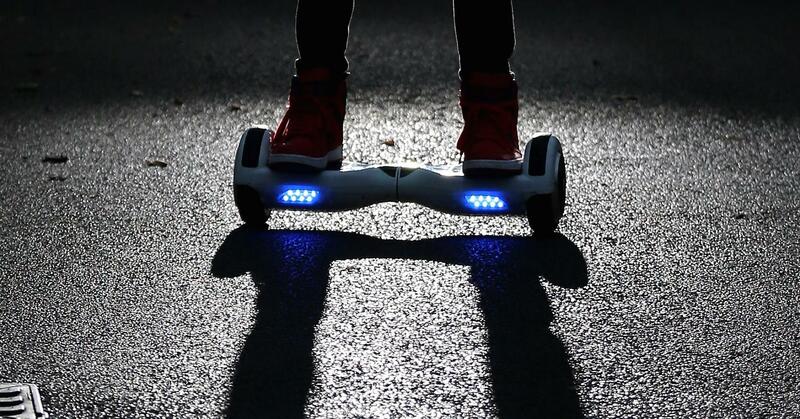 Hoverboards have raised safety concerns across the globe. Some have burst into flames while being ridden or in charge. Amid the concerns, many brands were pulled from leading online stores. Confiscations were also done and tests done, mostly on batteries. After the government took matters into its own hands, the prevalence of unauthentic hoverboards subsided. Unfortunately, some people are still exposed to bootleg devices. Is there a way of telling the difference between an authentic and fake hoverboard? If you want to minimize chances of landing a fake model, purchase only from top brands. Avoid individual sellers even if they are listed on reputable sites. Our reviews can be your best guide when it comes to identifying reliable dealers. The best way to ensure you have the best product is to confirm UL certification, knowing that crooks have the capability of faking certification logos. Before buying, look at reviews and check obvious signs, to make sure the product is not associated with the reported fires. What is the age again? Contrary to popular belief, hoverboards are not designed for little kids. Your 4-year old may be cut corners like Flash Gordon, but remember that disaster can happen any time. These machines can clock in the excess of 10 mph. The hoverboard is not a device for people who have coordination problems, the elderly included. Now that you are armed with basic information about riding the hoverboard, we believe you are now ready to show what you have. Remember that there are no shortcuts to mastering the hoverboard. The good news is that if you follow all the guidelines and put some effort, it will be just a matter of time. 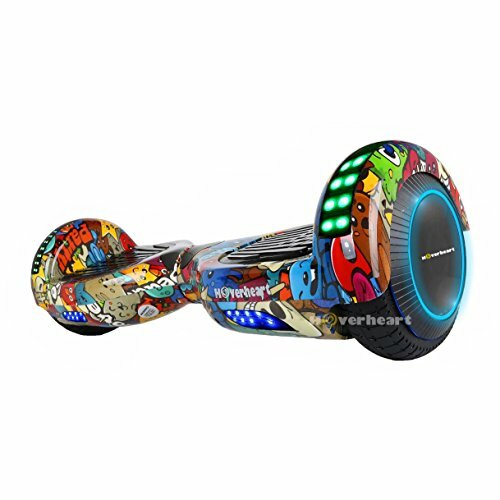 If you need reviews of authorized dealers , check out our site for the best hoverboards for sale.